Adam is an athletic trainer at Wise Physical Therapy and Sports Medicine at the Slippery Rock office and Slippery Rock Area High school. He is also a personal trainer. 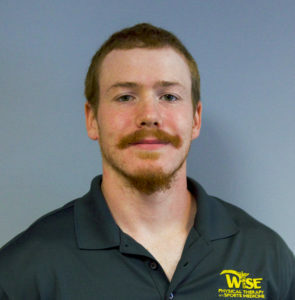 He received a Bachelor’s of Science in athletic training from Slippery Rock University of PA. Adam was born and raised in Slippery Rock and in his free time enjoys running, or playing a round of golf.